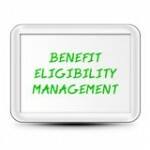 Tired of Handling Benefit Eligibility Management issues with your Employee Benefit Plans? BCL Systems, Inc. can assist you with all phases of employee benefit eligibility management under your Employee Benefit Plan(s). We will coordinate with all carrier(s) in the manner that works best for them. From enrollment in the plan, annual enrollment changes and/or termination of benefits, we can handle the paperwork or if given access, we can do changes directly on-line. Have Questions about how BCL Systems can help you manage your benefit eligibility? Complete the form below to receive a quote.